As millions travel to see the Shroud of Turin  the cloth that may have been used to wrap Christ's body after his crucifixion  TIME takes a look at the lore and whereabouts of other religious relics. 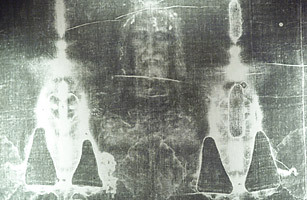 Be it fact or fake, the Shroud of Turin, a yellowed, 14-ft.-long (4.3 m) linen some believe to be Christ's burial cloth, has drawn millions to the Italian city. While the Shroud bears an image of a crucified man with wounds similar to those endured by Jesus, carbon-dating tests in 1988 showed the cloth was made between 1260 and 1390 and therefore could not have been used to wrap Christ's body. Still, the test results have not stopped pilgrims from flocking to take their 3-to-5-minute looks at the shroud this month in its first public viewing since 2000. Some say the tests may have been skewed and should be redone.